Suppose everyone was afraid to do anything. Suppose nobody bothered to solve any problems. Suppose that the only thing anybody wanted to do was stay home and do nothing. I hope the world is never like that. the most and the best. You won’t have any zest. “It was a magical day in Historic Downtown Twin Falls, with the 2009 MagicFest in full swing. The festival ran from July 31st and will continue to August 2nd. The magic was coordinated by Kip Sherry Magic and six other Idaho magicians. Merchants throughout historic downtown sponsored over 70 hours of individual magic performances. The show is an effort to boost the revitalization of historic downtown. It was about a year in the making. For Bishop, it’s a chance to bring joy to others. Magicians to Headline a Free Community Event! BOISE – Boise Little Theater and The Jeker Family Trust have partnered to present ‘The Gift of Magic,’ a free magic show for the community, featuring well known Odyssey Illusion magicians, “Mister X” and Jason Byers. Two free performances are scheduled for August 22 at 3pm and 7pm at Boise Little Theater, located behind St. Luke’s Hospital in downtown Boise, 100 East Fort Street. Boise Little Theater President, Wendy Koeppl, said of the performance, “This is a quality show and we are extremely pleased to host free of charge, this wonderful family event. Thanks to the wonderful generosity of The Jeker Family Trust, we are able to present a free magic show; it’s a terrific gift for the entire community.” ‘The Gift of Magic’ performances will feature talented magicians, “Mister X” (aka Bob Bishop) and Jason Byers. Tips for parents: Gifted underachievers — What’s a parent to do? by Siegle, D. & McCoach, D.B. This full text article by Del Siegle and D. Betsy McCoach was derived from an online seminar with parents of gifted students in the DITD Young Scholars program. Siegle and McCoach summarize the tips and strategies that were discussed in the seminar on helping underachieving gifted students to become achievement-oriented individuals. The authors include a discussion of the psychology and rationale for each tip. All individuals have the ability to learn and attain self-fulfillment, however many children are at risk of failing to achieve their academic potential. Gifted students are one group of exceptional learners who are not normally considered at risk for academic failure. However, the underachievement of academically gifted students is an area of concern and frustration for many parents, teachers, and counselors. Why do some students, who seem capable of outstanding performance, fail to realize their potential? What causes some gifted students to underachieve in school? Can we predict which gifted students are at the greatest risk for underachievement? What can we do to reverse a student’s academic underachievement? While there are many factors that contribute to achievement, students who are achievement-oriented appear to exhibit three key perceptions and a behavior. First, and foremost, they find value in their school experience. School is meaningful. They enjoy what they are doing or believe that what they are doing will produce beneficial outcomes. Second, they believe that they have the skills to be successful. Third, they trust their environment and expect that they can succeed in it. When students have positive attitudes in each of these three areas, they are more likely to produce self-regulated behavior. Self-regulated learners set realistic expectations and implement appropriate strategies for academic success. Some of these four components may play a stronger influence than others, but overall, we believe that achievement-oriented individuals possess some combination of them. Encourage and promote your children’s interests and passions. Help children to see beyond the immediate activity to the long-term outcomes. A school assignment may seem unimportant, but pursuing a dream career may be an outcome that your child is willing to strive toward. Parents should share how they use various skills learned in school. Help your children to set short and long-term academic goals. Small, short-term goals work better for younger students. It is essential that the goals are meaningful to students. Talk with children about possible goals. Remember, goals that adults value may have little meaning to children. Students are more likely to become engaged with material that is optimally challenging. Ensure that your children are challenged (but not frustrated) by classroom activities. Children must also believe they have the skills to perform the task. Self-efficacy refers to individuals’ judgment of their capacity to perform specific activities. The perceptions students have about their skills influence the types of activities they select, how much they challenge themselves at those activities, and the persistence they exhibit once they are involved in the activities (Bandura, 1986). Children need to believe that they have the skills to be successful. This can be accomplished by helping them recognize the skills that they have developed. Two factors need to be present: First, they must believe they have the skills to do well and second, they must be aware that they didn’t always have those skills (the skills were something they developed). The way we compliment our children has an impact on how successful they perceive themselves. It is important to be specific with comments. A general compliment such as “Good work” does not carry the weight of something more specific such as “You really know your threes times tables.” The latter provides more information about what has been performed well. Your child will reflect on the comment and think, “Yes, I am good at threes.” Students are able to better cognitively appraise their progress when feedback is specific or when we’ve helped them be aware of specific things they do well. Of course, compliments must be genuine and earned. Complimenting children for tasks that they did not perform well or for unchallenging tasks can be counterproductive and diminish their trust. In addition to helping your children recognize the skills they have, you need to help them understand that their abilities are not innate. Dweck (1975) demonstrated that students who believe abilities can be developed and are not fixed are more likely to attempt challenging tasks and persevere more in the face of difficulties than students who believe abilities are innate. When we discuss our children’s achievement with them, we ought to mention specific skills they have developed by drawing attention to the skill and to its development. We need to balance the role effort and ability play. This can easily be accomplished by recognizing the skill as something the student developed (without drawing undue attention to the effort used). For example, “Look at how well you’ve learned your threes tables” is more effective than “You are good at your threes tables.” The word learned indicates that this is a skill that didn’t always exist and implies that future skills can also be acquired. Children who view their environment as friendly and one that will provide positive outcomes are more likely to demonstrate achievement-oriented behavior. It is not enough to be confident that they have certain skills, they must expect that they will succeed if they put forth effort. Rathvon (1996) hypothesized that, “The underachiever’s failure to assume responsibility arises from his unconscious belief that his own efforts do not affect the events or individuals in his world” (p. 66). Children’s perception of the friendliness of the environment may or may not be accurate. The first step is to determine whether students’ perceptions are distorted. If they are not, then changes need to be made in the environment. These changes must be implemented with input from the student. For example, if a child feels it is too noisy to study at home, ask the child what needs to be done to make it quiet enough. It may be as simple as asking, “What would it take for you do well?” Students must be involved in helping find solutions to the environmental roadblocks they perceive. Many gifted students may lack the self-management strategies of time management and study skills. Because gifted students often progress through the early years of school without being challenged, they sometimes fail to develop the self-management skills that other students master. In the early grades, good memory and fast processing skills can compensate for note taking and other study skills. Often, educators attempt to teach students study skills before students need those skills to be successful. This process usually frustrates both the teachers and the students. Self-regulatory skills are more likely to be internalized when they are needed to solve the problem at hand. A solution to the problem is to provide gifted students with an academically challenging curriculum early, and throughout their school careers. Another aspect of self-regulation involves setting personal standards. Some students may feel that what they are doing is “good enough.” If students haven’t been academically challenged in the past, they may believe they can achieve satisfactory results with very little effort. Gifted students may also underachieve to hide their need for perfectionism. The third category of self-regulation is self-monitoring. These skills include monitoring distractibility, practicing delayed gratification, and awareness of performance avoidance. Encourage children to pursue excellence, rather than perfection. Adults can model acceptance of their mistakes while striving for excellence. Gifted students should not be expected, or expect, to complete every task, in every area, with 100% accuracy. Help students plan tasks. This serves two functions. First, it develops a mindset that the task is doable. Young people are often reluctant to begin a task because they are unsure how to begin. Second, it minimizes the unknown. Through planning, children can visualize a task coming to fruition. Help children set realistic expectations. This involves setting goals that are difficult enough to be challenging, yet not so difficult as to be unachievable and discouraging. Learning occurs best when new material cannot be mastered without assistance, but can be mastered with minor direction from someone more knowledgeable (Vygotsky, 1939/1962). Much that motivates children is still a mystery. The suggestions presented in this article provide insights into some strategies that promote achievement-orientation. Parents can support students and encourage them to pursue their interests and passions. With a little effort, educators and parents can help students to see that what they are doing serves a purpose, to believe they have the skills to perform well, to trust that their environments will encourage their productivity, and to set realistic expectations for themselves. Early encouragement of achievement-oriented behaviors is a major step toward helping young people lead productive and fulfilling lives. Dweck, C. S. (1975). The role of expectations and attributions in the alleviation of learned helplessness. Journal of Personality and Social Psychology, 31, 674-685. Rathvon, N. (1996). The unmotivated child: Helping your underachiever become a successful student. New York: Simon and Schuster. This full-text article is provided as a service of the Davidson Institute for Talent Development through its GT-CyberSource (www.gtcybersource.org). The Davidson Institute for Talent Development is a 501(c)3 nonprofit operating foundation founded in 1999 by educational software entrepreneurs, Bob and Jan Davidson. The mission of the Davidson Institute is to recognize, nurture and support profoundly intelligent young people and to provide opportunities for them to develop their talents to make a positive difference. 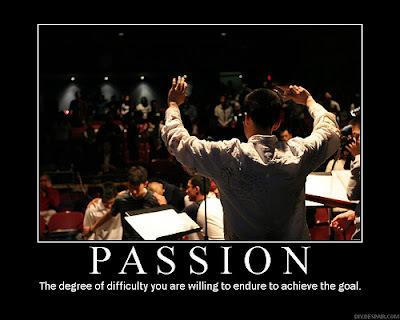 you will want to follow that passion. and natural ability you have. Passion might be something you do best. A passion for a bird might be building a nest.